So as hard as it might seem to find the right thing to fix all your summertime issues, I found something that just might be perfect! 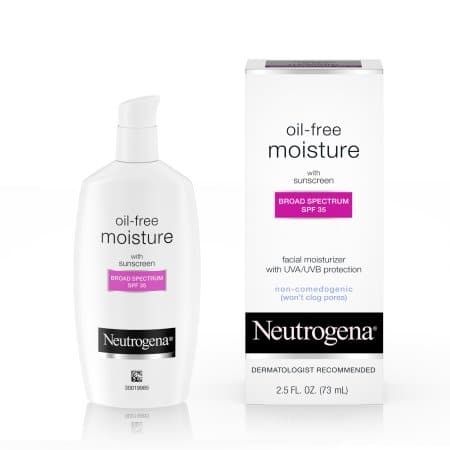 Neutrogena Oil-Free Moisturizer doubles as a sunscreen and absorbs into your skin quickly. So it’s highly recommended for oily skin because it won’t contribute to the issue! Summer is here and things are about to get messy, it’s definitely time for me to look into this product! Every time I look into a new product I really like to break down the details. I want to know what it is good for, how to use it, the quality, the price, and anything I might dislike about it. I just like to be prepared. I’d rather know everything, the good and the bad, so I don’t get any unpleasant surprises when I try the product for myself. I have a feeling you probably want to know all the same things! Here I just want to break down the different things you should consider about this product before you purchase it! Affordability: I would consider this a very affordable item! There are enough benefits overall to make it well worth the price. Comes in a 2.5 oz pump bottle. It will only take one pump to cover your whole face each time! That will certainly extend the life of this product. How to Use: This can be used just like a regular facial product if you are just trying to get good moisturization to start your day! It’s super straightforward. The only thing to keep in mind is that you should apply this about 15 minutes before sun exposure. You need to give it a little extra time to sink in. 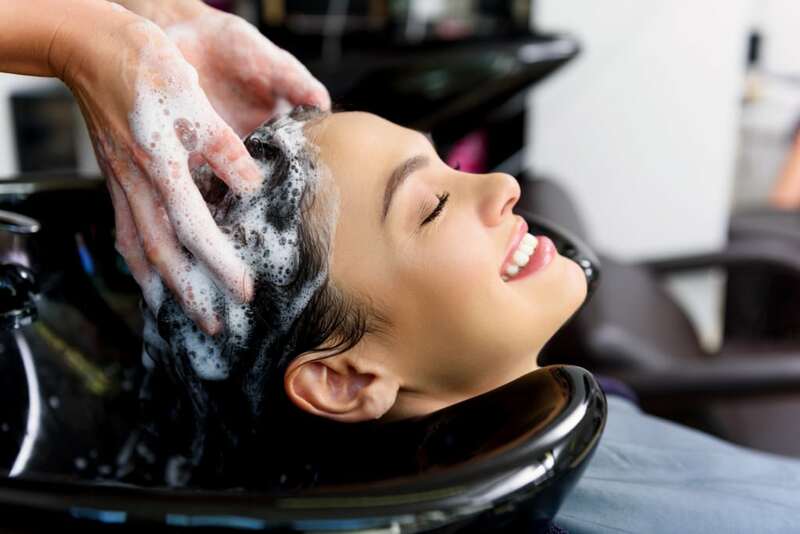 After that you will have to reapply about every 2 hours to make sure it keeps working properly. It also is not water resistant, so it will wash off if you go swimming or are sweating a lot. Type of Skin: This is recommended for oily skin more than anything. It absorbs quickly so that it won’t contribute to the problem. I technically have combination skin. It can be oily or very dry. It all comes down to the weather and time of year. So this is something that I would probably be able to use all year round. But I may need to either double up on moisturizing in the wintertime or use an additional deep moisturizer that will help get me through the winter. Multiple Skin Benefits: This is an oil-free moisturizer with broad spectrum SPF 35. So it’s great if you hate how greasy your face gets when you wear sunscreen like I do. It’s a long lasting deeply hydrating moisturizer. It will help your skin feel soft, smooth, and healthy. All of which contribute to making your skin look younger! You can put this on before you put on makeup and it will go on very smooth. Pretty similar to a primer! 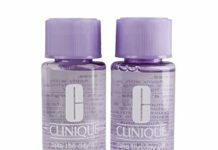 It’s sheer and non-comedogenic so it will go on without any residue and won’t clog your pores. That way it shouldn’t cause any breakouts! Scent: There is no fragrance in this moisturizer! I know some people might want a little something just to make it smell nice. But in all reality, the best skin products are fragrance free. That’s pretty much because people with sensitive skin will be able to try this without as many worries about whether it will cause a breakout or an allergic reaction. Drawbacks: One drawback I can see is the fact that it is supposed to be hypoallergenic and there were still a lot of complaints about customers having reactions. If you’re going to try this out, I would definitely recommend reading the ingredients on the box of the product. Apparently the ingredients that are in the description on Amazon don’t match up with the actual product. So pay close attention before you buy or you could end up having a breakout of your own. This is a fantastic option for those of you who have oily or combination skin types. I don’t think it will give you the best results if you have very dry skin all year. I personally am interested in finding the best moisturizer that contains SPF. This contains broad spectrum SPF 35. The main reason I’m looking for that kind of product specifically is because it is made for your face. 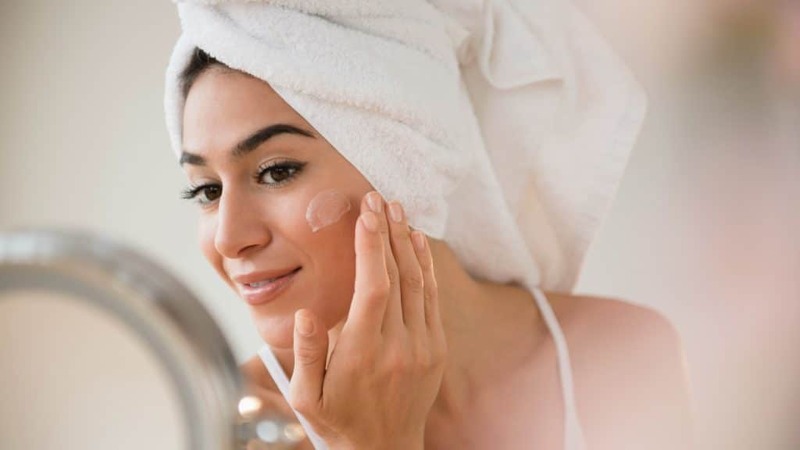 Using a thick and creamy moisturizer that is meant for your body can clog the pores on your face. I don’t want to get hydrating moisture at the price of breaking out constantly. I would rather find something like this that is the best of both worlds! Another big perk for me is the fact that this is very affordable. It might not be the cheapest thing you can find, but I think it’s a fair price for the benefits and the amount you get. Finding something that is affordable and will last me a long time is really all I want in a product! There’s just no point in buying a product that is a super cheap price as well as full of cheap ingredients and chemicals! If you have very dry skin, I would recommend something that has deep moisturization. This one is supposed to, but I don’t think it is enough for someone with super dry skin. I’ve had dry skin patches that are really hard to get rid of. I don’t think this would work well for that purpose. I only say that because I got that impression from what so many customers said in the reviews. People with very sensitive skin had mixed reviews as well. Some loved it and it was one of the first things they had tried that didn’t make them breakout. This is something that is really hard to judge because everyone is so different. One thing I didn’t like to see was the fact that the list of ingredients listed on Amazon were apparently different from the ones you found on the box. That can make a huge difference for some customers if they don’t know that. So make sure to check out the pictures of the box and the legitimate ingredients before purchasing! 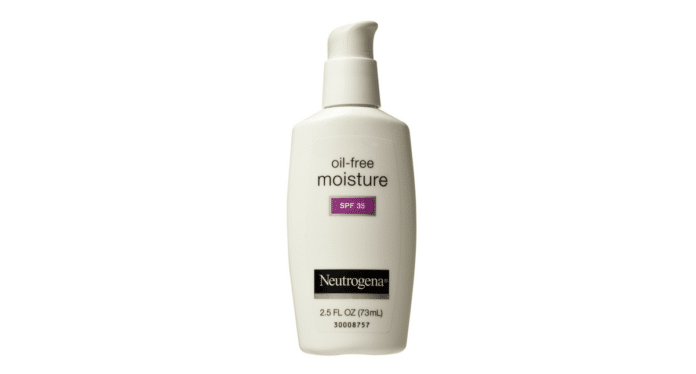 Neutrogena Oil Free Moisture with Broad Spectrum SPF is really the best of both worlds. On one hand it contains SPF 35 to protect you from both UVA/UVB rays. This is something you will definitely need if you want to prevent your skin from further skin damage. There are quite a few perks to this product. A big one is the fact that it is fragrance free! So many customers need that in a product. So it will end up smelling like sunscreen more than anything. That is just a result of the ingredients. Not the fact that they added anything to achieve that specific scent. As it absorbs into your skin that smell will fade. The reason this is fantastic for oily or combination skin is because it is deeply hydrating but it also oil-free. So it absorbs quickly and won’t leave your skin feeling oily. That also makes it possible for you to use this before you put on your makeup. If you do have oily skin, it is ideal to use right after you use a facial cleanser to remove excess oils. Since it is specially designed for use on your face, it is also non-comedogenic and won’t clog your pores! This long lasting moisturizer will protect, heal, and hydrate your skin to keep you looking youthful and healthy! I know I’ve praised this product so far. That won’t end here! This is a wonderful product that is packed full of benefits. But no product will work for absolutely everyone. But before you make your final decision to either purchase or move on, I want to give you each individual detail! By really breaking down a product you can make the best decision. So here are the very best features of this skin product! This is a very affordable item that is specifically meant for your face! It comes in a 2.5oz pump bottle. All you will need is a single pump to cover your entire face. That means that this is not only wallet-friendly, but will last for quite some time! 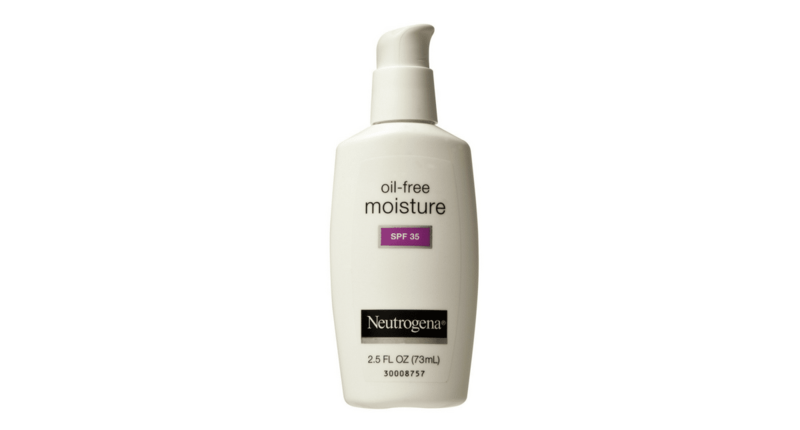 Neutrogena made this product oil-free, sheer, and lightweight. Because of that, this will be very easy to work into your skin without any residue. This is a big part of the reason that it is so convenient for so many people with oily skin! They don’t have to worry about it contributing to the issue and making their skin worse. My sister would love this item for that reason. 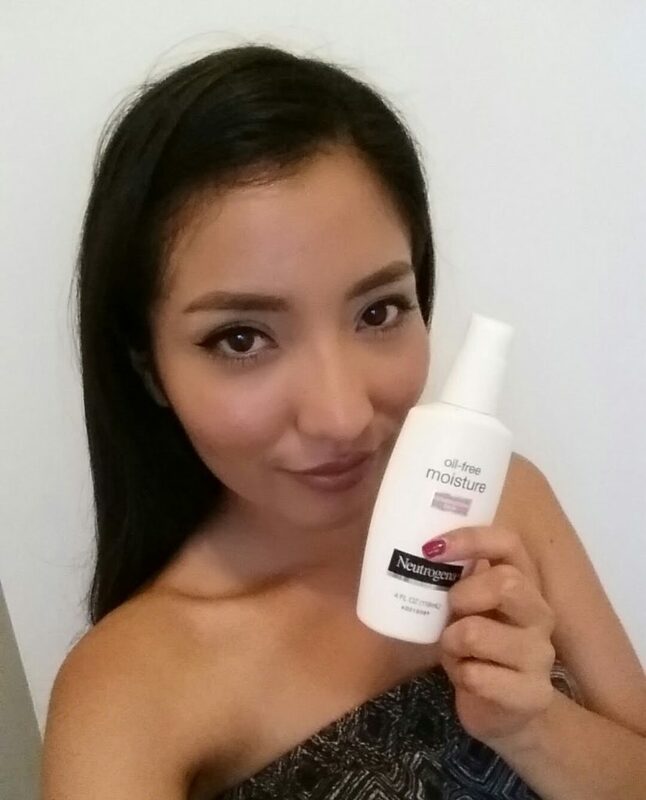 By moisturizing on the daily with this item you can achieve softer, smoother, and younger looking skin! By taking care of your skin and doing your best to moisturize your skin it will seriously help to prevent early signs of aging. It’s never too early to start fighting against wrinkles! Another thing that this product has is broad spectrum SPF 35. It will protect you from the sun for about 2 hours before you need to reapply. That is another thing that will play a big role in keeping your skin looking young as long as possible. The sun does more damage than you might think. Even if you aren’t the type of person to get sunburned and don’t see the effects right away! This is a moisturizer with long lasting hydration! If you have combination skin like I do, this will be a huge plus. I can have really dry skin at times and this has all the hydration I need to get my skin back to normal. As long as I would use it consistently enough! Even though it has long lasting hydration, it won’t make your skin look or feel greasy. It is highly recommended for oily skin because of this. I would definitely want to cleanse my skin and get rid of any excess oils. Then I would use this to replace that with oil-free moisture. Even though it is deeply moisturizing, it won’t clog your pores. Whenever I think of something super moisturizing I always think of something that is thick. Like a cream that you really have to rub in to help it absorb. But this is a sheer and lightweight formula that absorbs into your skin quickly! Because it is super lightweight, you won’t need a lot to cover your whole face. It will only take a single pump of this product! It will last much longer than you might expect. I always want the most bang for my buck, which typically comes down to the amount for the money you pay. In this case you don’t need that. A little will go a very long way! The last big advantage I want to mention with this is that it is fragrance free. So if you have any allergies to fragrance, this will still be a wonderful option for you! Skin products are much better for you if they are fragrance free. So even if you don’t have a definite allergy to them, this is a big thing to take into consideration. It still smells like sunscreen to an extent, but the smell is from the ingredients. It will fade quickly as well! 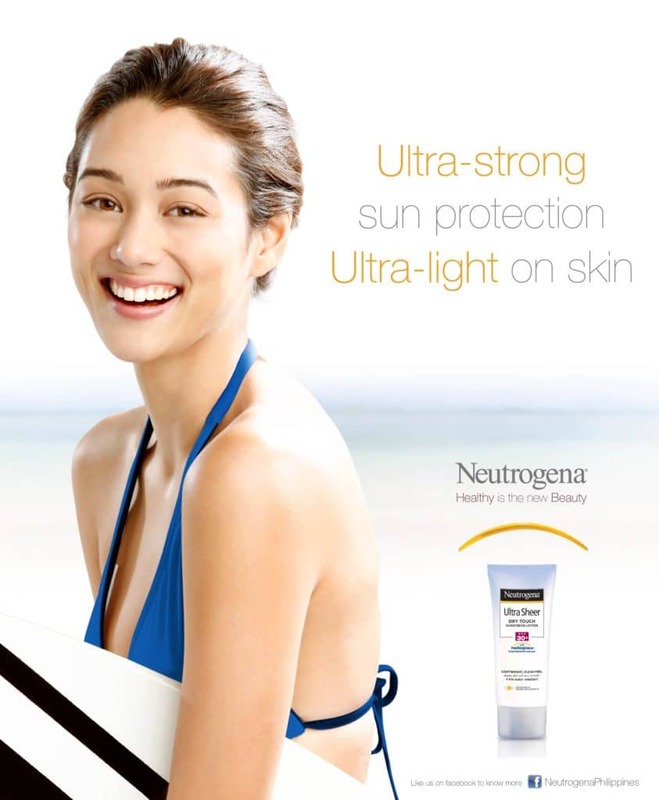 Neutrogena is a trusted brand that many customers are drawn to. This product is no exception! It is a wonderful item with many benefits for your skin. It even has the addition of sunscreen that customers are interested in because they want something to protect and moisturize their skin. The SPF 35 is a big benefit to this product because we all need to protect our skin from the sun. I used to take sunscreen for granted. I even got sun poisoning on a cloudy day in the beginning of April. It’s safe to say after having blisters all over one side of my face I won’t take sunscreen for granted again. Even if you’ve never had the same experience as I have, I would really recommend avoiding it! Especially because the sun is a huge contributor in premature aging. So many people want to lay out and tan. Keep in mind that you can tan with sunscreen on! It still isn’t something I would suggest. I know a few people who have been pretty obsessed with tanning in the past. Their doctors weren’t very happy with them! Spending too much time in the sun can lead to skin cancer without you ever having a clue it’s happening. But I understand wanting to spend a lot of time outside in the summertime and a lot of customers chose this as their go to protection. They were impressed with the deep moisturization. Even in the summer when you don’t have severe dry skin, it’s important to moisturize! There were honestly just so many different aspects to this product that people are always looking for. Including something that is fragrance and oil free! I know that there aren’t a lot of products that will work for everyone. There are so many different things to consider when choosing. Because of that, I want to make sure I include a few more options. Especially if you try this out and it turns out to be something that doesn’t work for you. There are so many different options out there and it can be hard to pick! 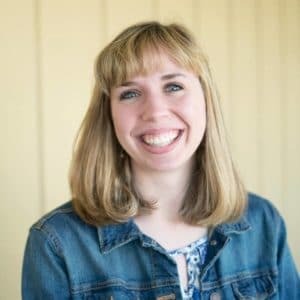 We do have a list of the 10 Best Moisturizers with SPF in 2018, in case you want to look into some more reviews! We did all the hard stuff for you, so I would love it if you took a look to see what you think would work best for your skin type! But before you check out that longer list, here are 3 alternative options. I hope they’re helpful in your search! Eucerin is another reputable brand that is very affordable! This facial lotion is moisturizing, doubles as a sunscreen, and it comes in a larger bottle than most of the other products! It is fragrance free, is non-comedogenic, and includes zinc oxide and titanium dioxide. 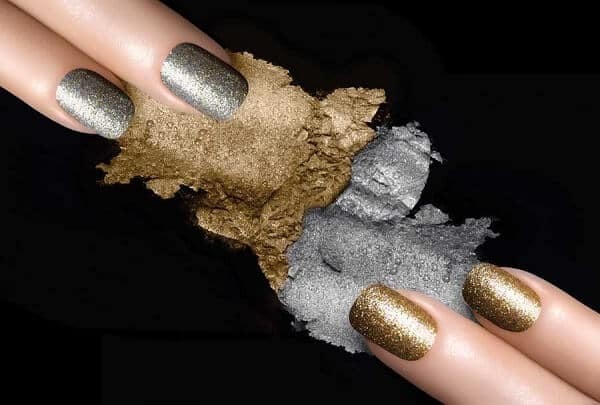 It is very lightweight and easy to work into your skin. It absorbs into your skin easily and won’t make you greasy throughout the day! If you have been looking for a very light product specifically for your face, this is a great option. It’s super affordable which is something I’m interested in personally. When I’m buying specific products, I want something that will work really well but not break the bank. Plus, you’ll only need one pump to cover your entire face so this bottle should last you a long time! So this is perfect for me! It is a great daytime moisturizer that will protect you from the sun. You really need to rub it into your skin to ensure there won’t be any residue because it contains zinc. But while that might seem kind of inconvenient it is a fantastic sunblock. Eucerin is definitely another wonderful option! For one thing this is another fragrance free product which is in high demand. I was actually surprised to see just how many people had issues with fragrances! But this is a fantastic option if you are! It’s affordable, it’ll last such a long time and it will protect you from the sun and any damage it might cause. If you’re interested in Eucerin Daily Protection Face Lotion you can find it on Amazon for a great price! If you are definitely interested in an anti-aging moisturizer, this is one you might be interested in! You get the same amount for a slightly higher price, but this is a 7-in-1 product packed full of skin benefits. This is another trusted brand that so many people love. The nourishing moisturizer gives you smooth and even skin texture. It also minimizes pores and gives your skin a healthy looking radiance. It also reduces the appearance of age spots, fine lines, and wrinkles, and balances your skin tone. 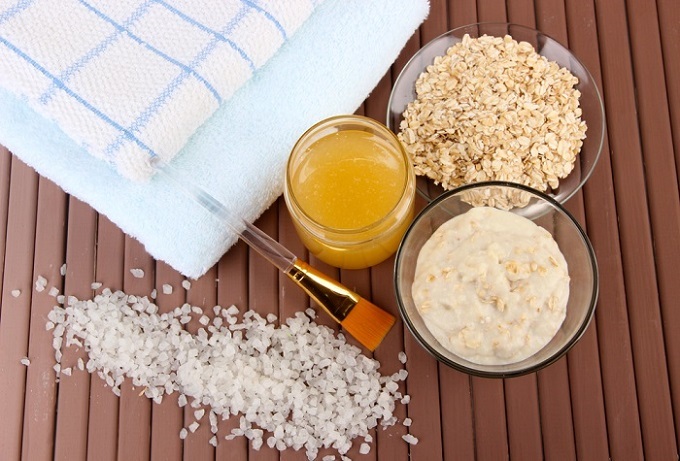 It even exfoliates to enhance your skin’s natural self-renewal process! This is perfect for pretty much any skin type! It is packed full of benefits to heal, moisturize and protect your skin. 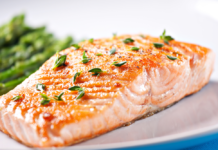 By improving the health of your skin, it will also improve the look and feel. I have always had small pores, but they are larger on my cheeks. When I apply my makeup, it’s hard to give myself a very soft and smooth appearance. The fact that this minimizes the appearance of pores and moisturizes dry skin will give me a better canvas for my makeup! While this might not be the cheapest moisturizer, I’d say it’s worth the money. It is anti-aging, moisturizing, and contains broad spectrum SPF 30 to protect you from further skin damage! It improves the texture of your skin, minimizes your pores, and exfoliates to improve your skin’s natural self renewal. So not only does it take care of your skin but it also helps your skin take care of itself. If you’re interested in something like this, you can find Olay Total Effects 7-in-1 Anti-aging Face Moisturizer with SPF on Amazon! Aveeno is another incredible brand. They have so many great products and this one is at the top of our list! It is a little more expensive than Neutrogena’s option, but still very affordable. It is also oil-free, hypoallergenic, and won’t clog your pores. The unique aspect of this product is the addition of the Total Soy Complex. That special ingredient helps to improve dull or blotchy skin, as well as the appearance of dark age spots. By protecting your skin with SPF 30, it will not only improve various skin issues, but it will also protect your skin from further damage. So if you are looking for a product for oily skin, this is another great option to add to your list. This is a fantastic option for anyone with oily skin! It would also work really well for combination skin like mine. It’s not greasy, which plays a big factor for most people. It also has a lot of long-term skin benefits. Even if you weren’t on the market to improve your skin as much as this does, it’s a huge bonus. It is clinically proven to even tone and texture and improve dull skin. That just about sums up my winter skin right there! I don’t have age spots yet and I’m hoping to avoid them. But if you do, you should keep in mind that this drastically changed a customers skin. It entirely got rid of some dark age spots that she didn’t think she would ever be able to get rid of! This might not be an anti-aging product, but it will certainly give you a lot of the same benefits! I haven’t come across too many product that even skin tone. Customers seem to be in love with this product! It’s the same size, but a little more expensive and no one seemed to mind a bit. This is a go to product for people with oily or combination skin. If you’re interested, you can either check out our review or try it yourself! You can find Aveeno Positively Radiant Daily Facial Moisturizer on Amazon! It can be really hard to find the perfect product. Sometimes you need different things at different points of the year. I understand this pretty well myself because my skin can get oily in the summer and dry in the winter. Dealing with these two extremes can make it a little difficult to know what to use. Much less finding something that will work wonders all year round! The best thing about this product is that even though it might not be the best product out there for everyone, it has a load of qualities that a lot of people are looking for. It’s fragrance free for those who are sensitive to them. It’s oil-free and great for people who have very oily skin. It won’t make anything worse, at least for a majority of people. Although I would definitely recommend that you use a facial cleanser first to get rid of the excess oils on your skin first. That should give you the best results! Another big thing I focus on is the price. I’m not really interested in gambling any hard earned money on something that might not be what I’m looking for. Luckily, this is definitely a product that I would consider reasonably priced. It’s even by a trusted brand that most people have used at one point or another. So even if you aren’t sure it’s right for you, it might not feel like as much of a gamble because it is a well known brand! I’m not sure this is something I would be able to rely on all year for my temperamental skin. But I definitely think that this would be a wonderful summer skin moisturizer for me. Hopefully this is something you find to be really helpful in your skin routine as well. 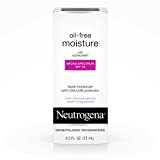 If you’re interested, you can find Neutrogena Oil-Free Moisture with Broad Spectrum SPF on Amazon for a great price! For even more information, check out the rest of our spf moisturizer reviews.